Air France-KLM’s new leader may have close to two decades of aviation experience, but in many ways he is an outsider in his new job. Ben Smith is Canadian, a flash point for unions who called the appointment of a non-French CEO inconceivable. He’s also a departure from the routine at French companies with state involvement, whereby the government would cycle executives in and out of high-powered roles, be it a utility or an airline or a senior political post. And by European airline standards, having a foreigner run a national carrier remains the exception, rather than the rule. But all those points give Smith the advantage of a fresh start, something that both his predecessors were denied when they came in and were later whisked out by fierce union opposition. His credentials as a dealmaker were touted by the French government, which owns a 14 per cent stake, pointing to the task that lies ahead for Smith: pacify unions, rebuild trust from customers and catch up with rivals like British Airways and Lufthansa that have already made their peace with workers after years of crippling strikes. “As an outsider, we expect him to bring valuable fresh perspectives, without historical baggage,” Gerald Khoo, an analyst at Liberum in London, said in a report Friday. For the unions, it’s not just that the 46-year-old Smith isn’t French, it’s also that he’s a representative of cold-hearted capitalism. That’s the view of Vincent Salles of the CGT union, who said Friday that investors’ support for Smith’s appointment was a red flag. But it’s the accusation that he isn’t local that stuck the most. Most European airlines continue to be run by local CEOs, from SAS AB to Finnair Oyj to Deutsche Lufthansa AG. But there are also plenty of examples of foreigners running airlines including Emirates Airline, Etihad Airways PJSC, EasyJet Plc and IAG SA, the owner of Air France-KLM’s archrival, British Airways. Nationalities aside, one thing all major airlines have in common is that they’re run exclusively by men. “I am well aware of the competitive challenges the Air France-KLM Group is currently facing and I am convinced that the airlines’ teams have all the strengths to succeed in the global airline market,” Smith, an anglophone who also speaks French, said in the statement. Air France shares slumped 3.5 per cent to 8.73 euros at 11:20 a.m. in Paris, extending their loss for the year to 36 per cent. Smith’s compensation also will make him a target in France, where high executive salaries are politically incorrect, especially at state-owned companies. 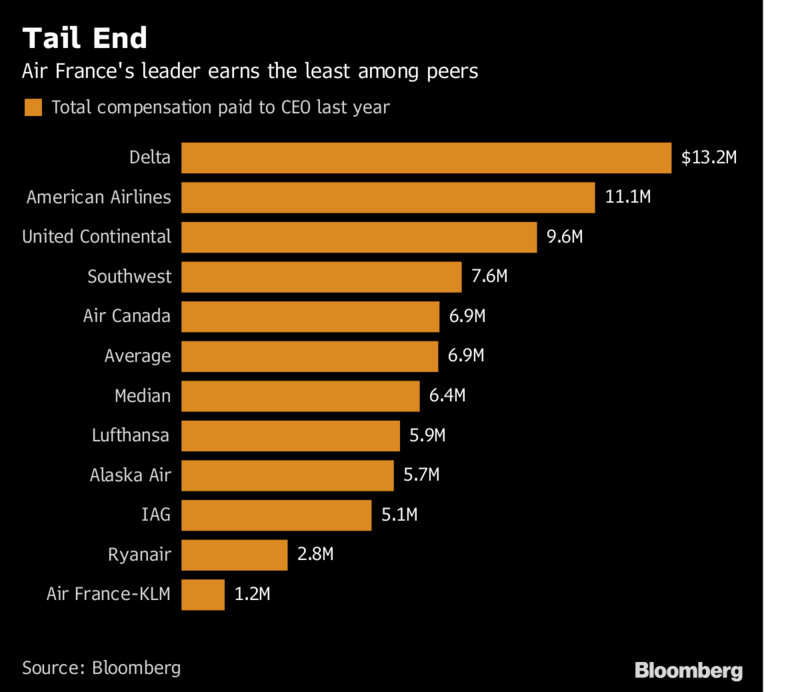 Janaillac was paid about US$1.2 million last year, the lowest pay for any CEO at the 10 biggest publicly traded European and U.S. airlines, according to data compiled by Bloomberg. Smith will receive an annual salary of 900,000 euros, and has the chance to earn bonuses that would bring his total compensation to 4.25 million euros a year, according to a person familiar with the matter who asked not to be identified because he wasn’t authorized to discuss the subject. That total is well below the average for the airlines. The recent history of company-labour relations hasn’t been glorious. In 2015, a protest of job cuts by Air France workers near Charles de Gaulle Airport ended with two managers having their shirts ripped off as they were trying to escape. Janaillac unsuccessfully staked his job on a staff vote on his plans. A group of nine unions, including the CGT, said Thursday that they would meet Aug. 27 to decide the next steps to take in their long-running pay dispute. The company offered a 2 per cent salary increase in 2018 followed by a 5 per cent rise over the 2019-2021 period. Workers’ rejection of that proposal led to Janaillac’s departure in May. Unions initially sought a 6 per cent pay rise this year, before lowering their demand to 5.1 per cent. Air France-KLM also has labour troubles at its Dutch unit. KLM rejected a final offer from the VNV pilots’ union for a proposed labour agreement and the process has reached an impasse, the union said Friday. VNV members will plan actions “in the coming period” to change the minds of KLM management, the union said. Salles backed off the criticism of Smith’s nationality, saying instead that workers are concerned the company will expand its low-cost operations, leading to lower pay for employees. 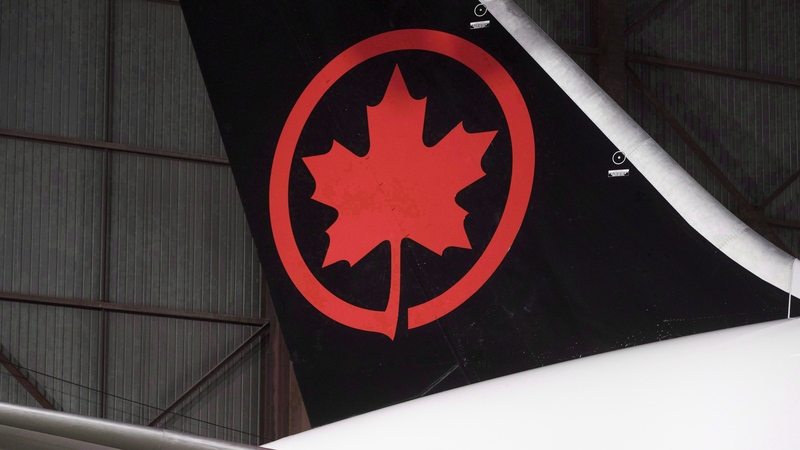 What’s the biggest risk facing Ben Smith’s successor at Air Canada?